Denman residence, Portland, Oregon. Design by Steven Koch landscape architect. 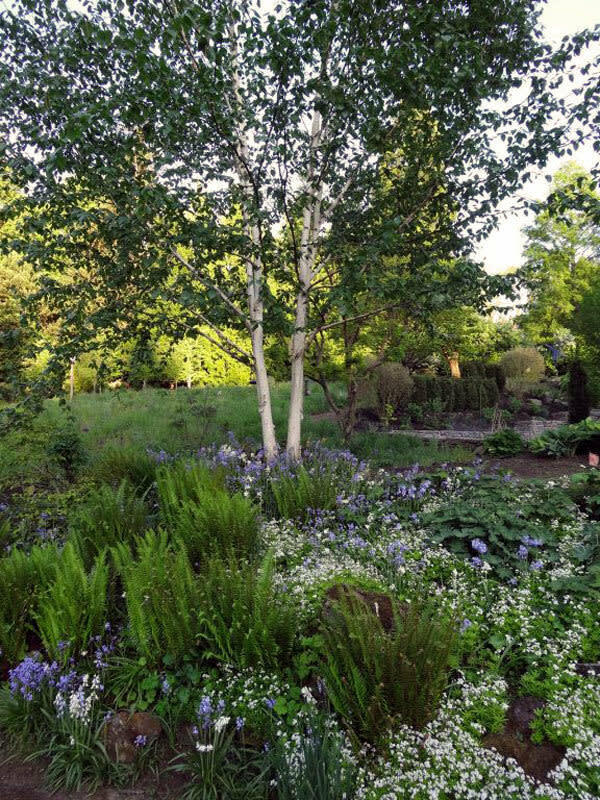 There is no shortage of gardening inspiration this spring in Portland. From viewing beautifully-designed gardens to scoring deals at plant sales, June is the month when gardening is on everyone's mind. Take some time this weekend to get out into the late spring sunshine, take in some inspiring gardens and pick up some plants to enliven your garden. Head down to Salem this Friday or Saturday for a self-guided garden tour and, on Saturday only, a plant sale. Both events benefit the A.C. Gilbert's Discovery Center, a private non-profit children's museum located in downtown Salem's Riverfront Park. WHEN: Tour: Friday May 31 and Saturday June 1, 2013 from 10 am to 4 pm. Plant sale Saturday only, from 10 am to 4 pm. COST: Adults: $15, children ages 12 and under, $5 for garden tour. Free admission to plant sale. Tickets include a program with detailed map to the gardens and garden descriptions and can be purchased at Gilbert Center or at Salem's Roth's Fresh Markets. The plant sale will include annuals, perennials, herbs and more. Garden Dialogues Returns to Portland! Curious to see how large-scale garden collaboration takes place between landscape architects and their residential clients? The Garden Dialogues program provides insight into the question of how clients and landscape architects work together. This small-group tour joins a landscape architect with the homeowner who hired them to learn about the collaborative process directly from the participants. The morning's tours include two gardens designed by landscape architect Karen Ford. In the afternoon, visit a residence designed by landscape architect Steven Koch. Attend both events or just one. Sign up on the Cultural Landscape Foundation's website. To preview the Garden Dialogues experience, view this video of the 2012 Garden Dialogues event at Manatuck Farm in Connecticut. The video includes conversations with property owners Chris and Barbara Dixon, landscape architect Doug Reed of Reed Hilderbrand, architect Maryann Thompson of Maryann Thompson Architects and Charles Birnbaum of The Cultural Landscape Foundation. If you're doing any traveling this summer, check out this calendar of events to follow where other Garden Dialogues are taking place around the country including in Seattle, as well as California, Colorado, Texas, Louisiana, Florida, New York, Massachusetts and more.